Gift set including our sandalwood moisturising beard wax and pocket beard and moustache comb. 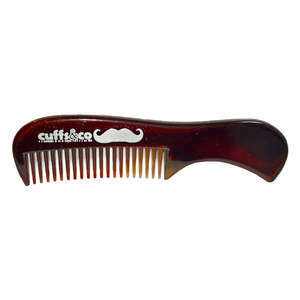 Our comb is perfect for styling and controlling your beard or moustache on the move. Whilst our beard wax, made from sweet almond oil, amongst other natural oils and ingredients with the scent of sandalwood, is perfect for moisturising and rejuvenating your beard or moustache.